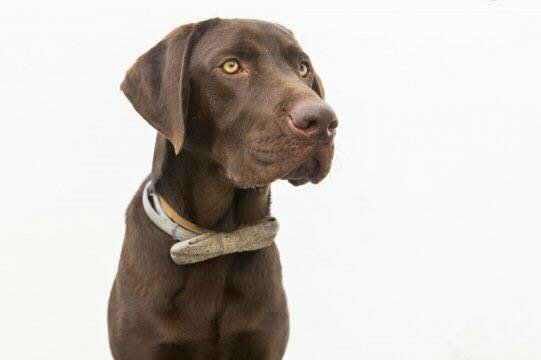 Nanook, a one-year-old chocolate Labrador, is being hailed a hero after his frantic barking raised the alarm and saved the life of a drowning man in Malaga port. The dog was being taken for his morning constitutional along Malaga’s seafront when the usually placid dog began to bark. His owner José Ignacio (Nacho) attempted to calm his pet and pull him towards home but the dog’s barks became more frantic and he pulled and pulled his owner in the direction of the sea wall. "He pulled hard," José Ignacio told local journalist Augustin Rivera and so he followed where the dog led to discover a man had fallen into the water and was drowning. He ran for help and the man in his sixties was pulled out by team from the Port Police and Civil Guard. "He was freezing and close to drowning," explained Nacho. "He was hauled into a boat and wrapped in a blanket. He was saved thanks to Nanook". The owner, who previously described his chocolate lab as "very quiet, well-behaved and playful" can now add "heroic" to the list of his pet's attributes.